Marine Biology students are working on ecosystem research projects. Each group chose/was assigned a specific marine ecosystem (rocky intertidal, coral reef, kelp forest, etc.) They will be presenting their findings to fellow classmates starting Friday. Biology students planted vegetable seeds with Anna Litz. The students also did a leaf stomata lab. They also completed a concept model on photosynthesis and cellular respiration to begin the unit on cellular energetics. 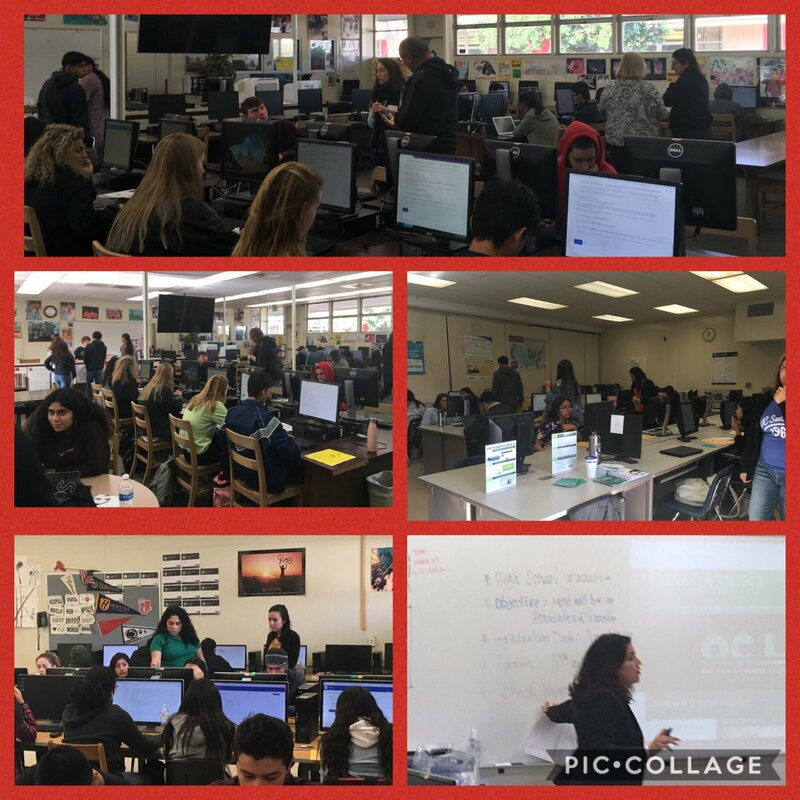 Reps from OC,MC, & VC here yesterday, Nov. 28th to help RMHS students with Community College Applications for Admission! Spartans Elevate-Together We Rise! 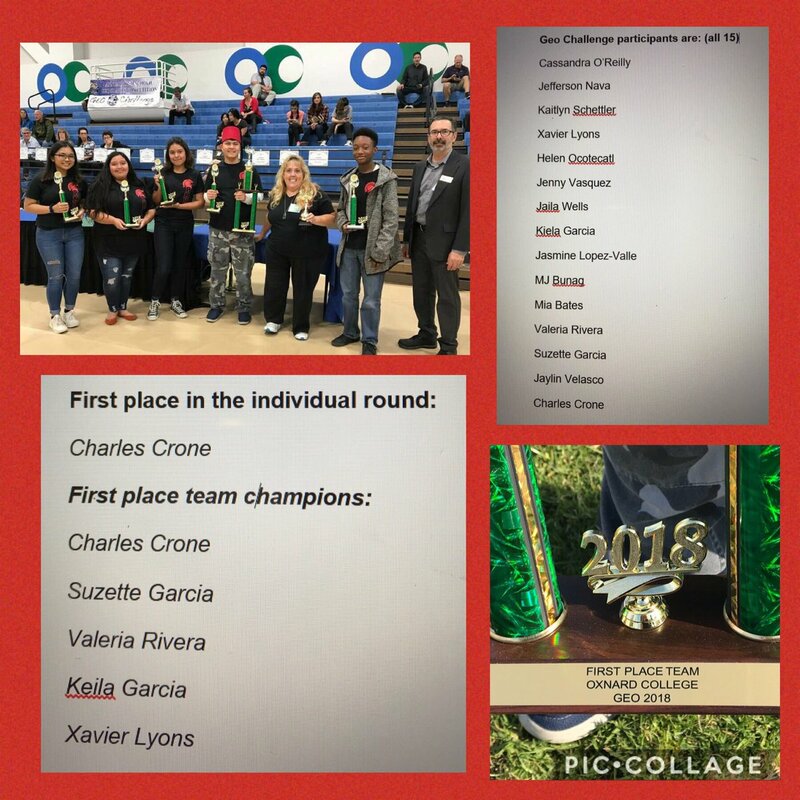 Late Congrats to the Rio Mesa Geo Challenge Group which took 1st place in the group & individual county Geo comp held at OC over the break! 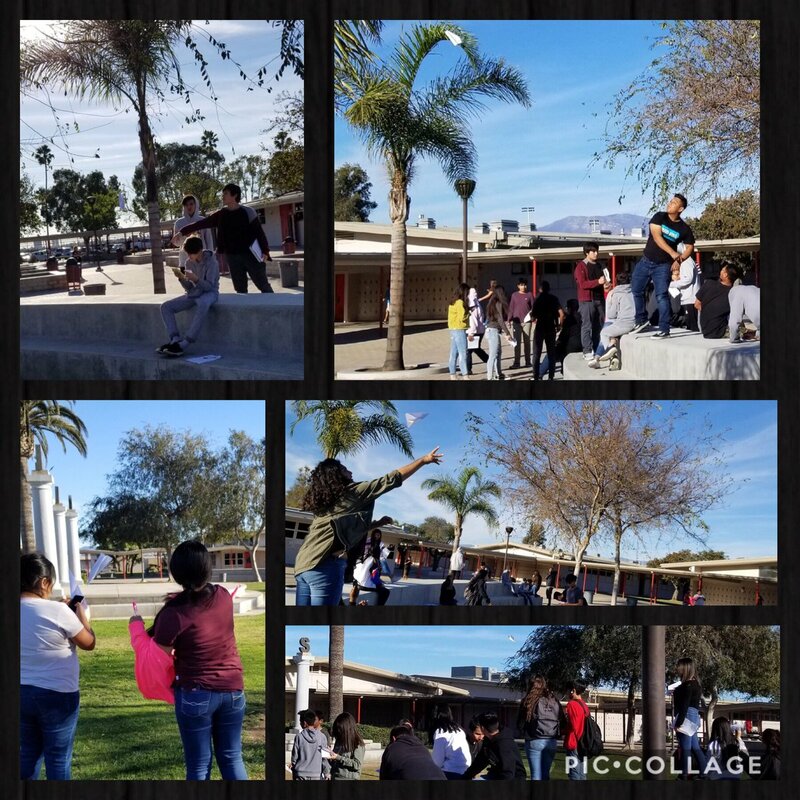 Ms. Gracom & Ms. Hansen’s Math 1 classes doing some outdoor Math data collection for their MYP Unit 1 project! Spartans Elevate- Simul Autem Resurgemus! WE>me! Rio Mesa Dance is having their annual winter dance show “The ABC’s of Dance” on Friday January 25th at 5:30 pm and 7:30 pm in the RMHS gym. Tickets are $5 pre-sale and $7 at the door. They will be on sale the week before the show. 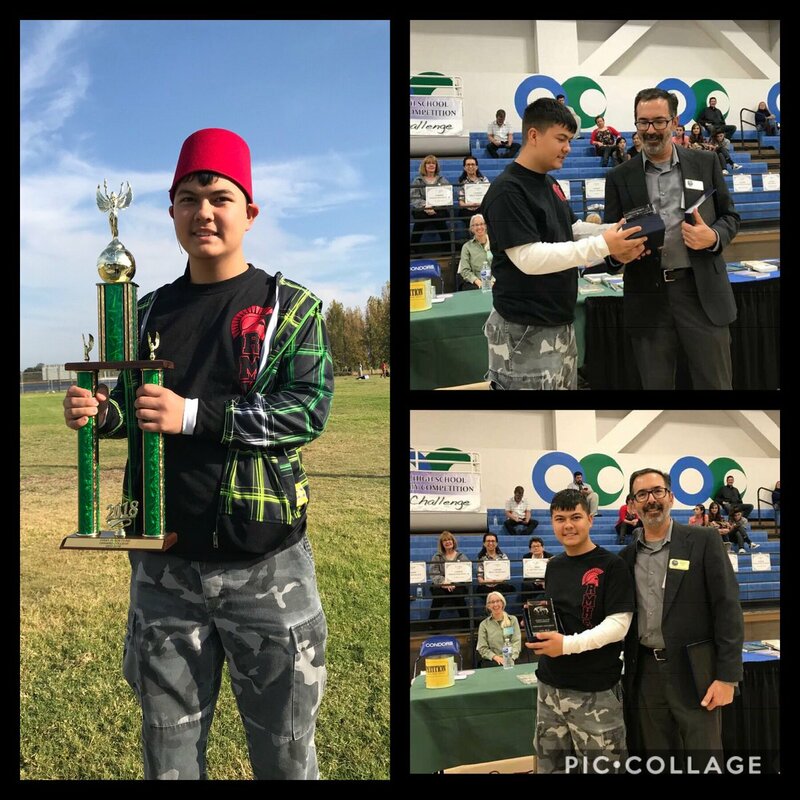 On Tuesday, November 27, three students from Rio Mesa High School, Bethannie Shumaker, Avery Higgins and Aydenn Makel Aquino, joined students from Adolfo Camarillo H.S. and Frontier H.S., on a trip to the Camarillo Chamber of Commerce for Mock Interviews. The students received help on the resume they brought, and participated in mock job interviews, where they received feedback and tips for improving their chances of being awarded a future job. The field trip was coordinated by the Career Technical Education Department of the OUHSD District Offices. 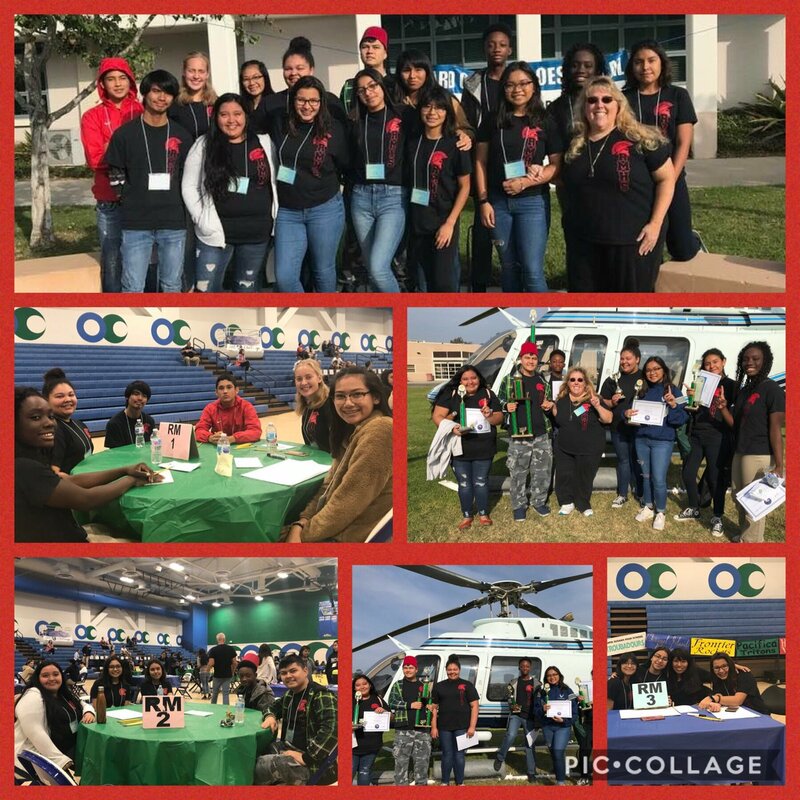 Rio Mesa High School held its first “Community College Application Day” on Wednesday, November 28. 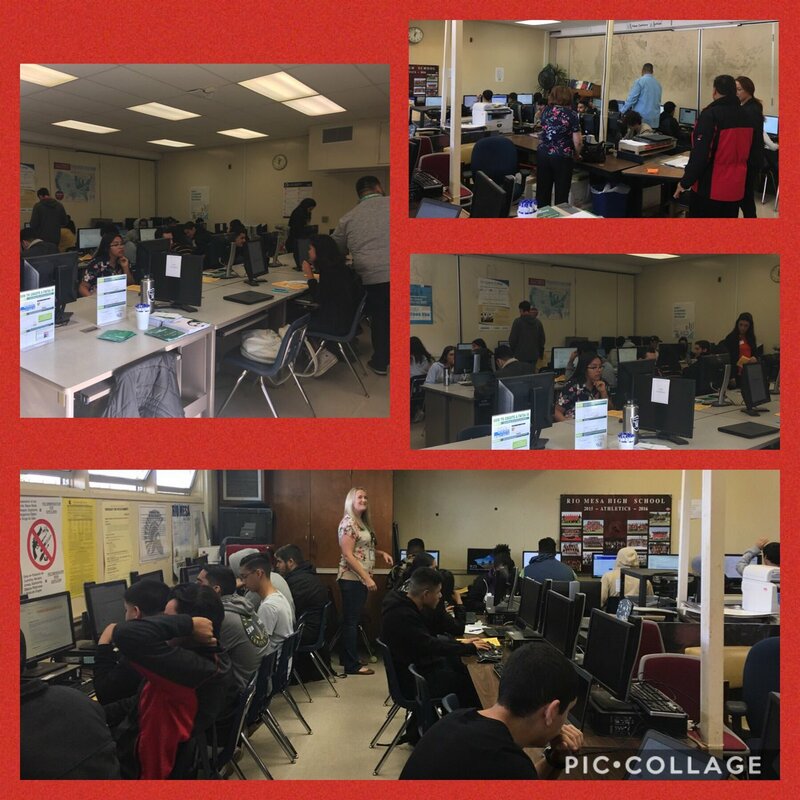 All seniors in the Economics and Government classes were taken to computer labs to create and submit an application to either Oxnard College, Ventura College, or Moorpark College. Ten representatives, who came from each of the three colleges, and Rio Mesa H.S. Counselors were on-hand to answer questions and assist the students with the online application. A total of 96 students submitted and received confirmation from the colleges that their application had been received, and many more students submitted their application and are awaiting their confirmation email. It was a good beginning to achieving our goal of having all senior students submit an application to one of our local community colleges. —Sally Anderson, College & Career Tech. On Nov. 29th a District Para Support Training was held for West Campus Adult Transition and Rio Mesa High School. 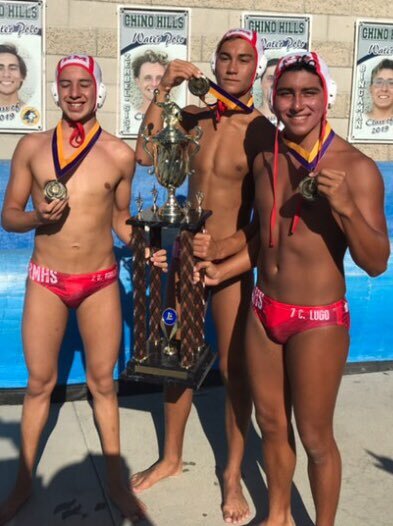 Big congrats to RM Senior Water Polo players, Carlos Lugo, Drake Moody, and Brandyn Robles, on qualifying to play in the Ian McPherson Tri-County Senior All-Star game this coming Saturday at Dos Pueblos HS! Proud of these Spartans! Together We Rise! We>me! 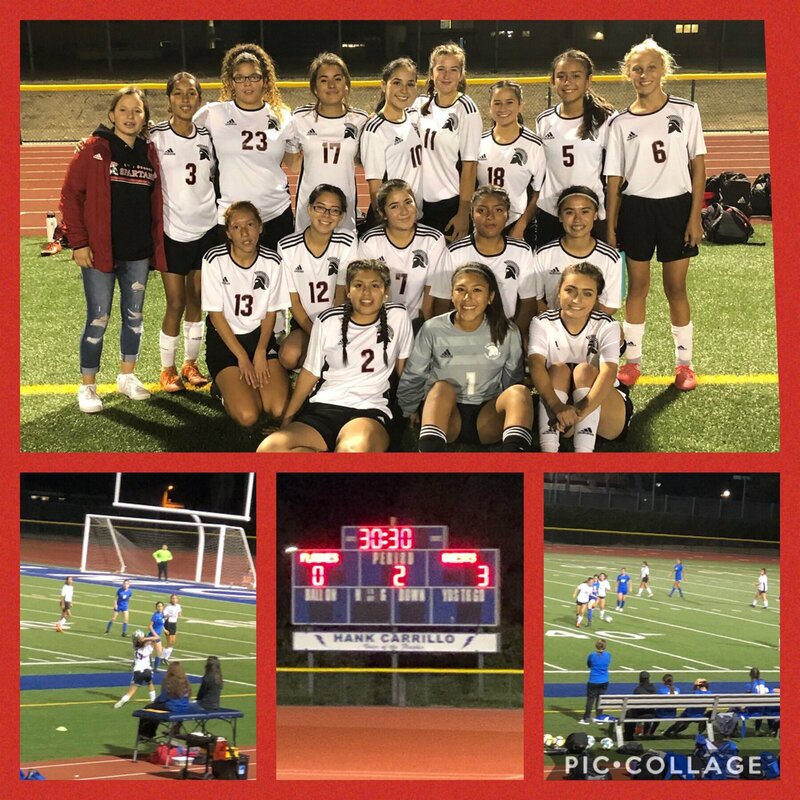 Congrats to the RM JV Girls Soccer Team on their 3-0 win today over the Fillmore Girls JV! Congratulations to our Girls’ Tennis Team individual participants who competed in the 2018 CIF Individual Tournament (all divisions) on Monday 11/19/18 at Cate and Carpinteria High Schools! This competition officials concludes our very successful Fall Season.